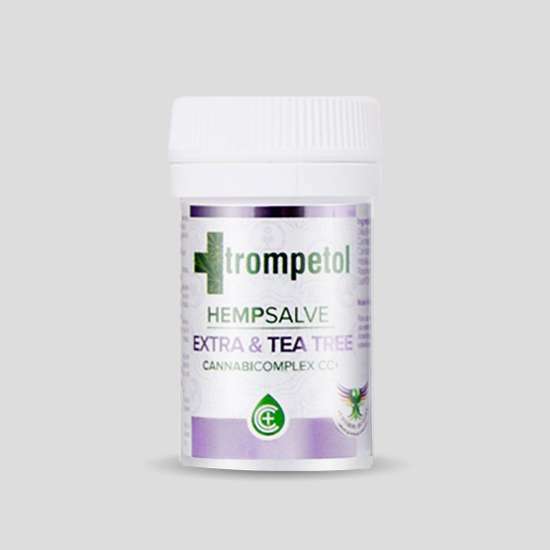 Trompetol Extra Tea Tree Ointment is an innovative, highly effective natural ointment made in a unique process from plant and biological materials. Ideal for treating irritations, insect bites and skin problems. 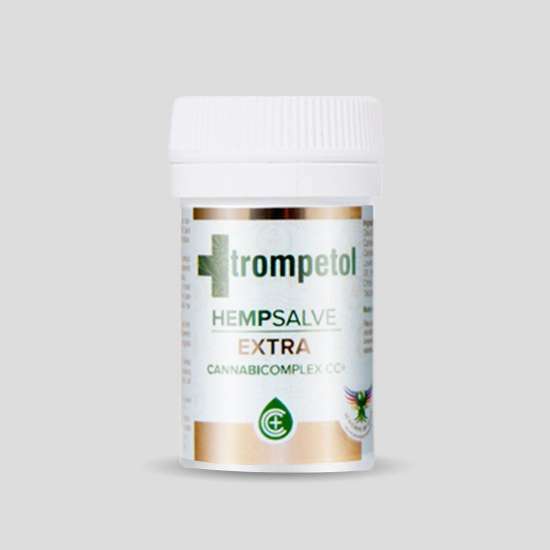 Trompetol HempSalve Extra Ointment is an innovative, highly effective natural ointment made in a unique process from plant and biological materials. Its additional content in active ingredients makes it an ideal ally for relieving muscle pain or contractures. Their results are very effective. 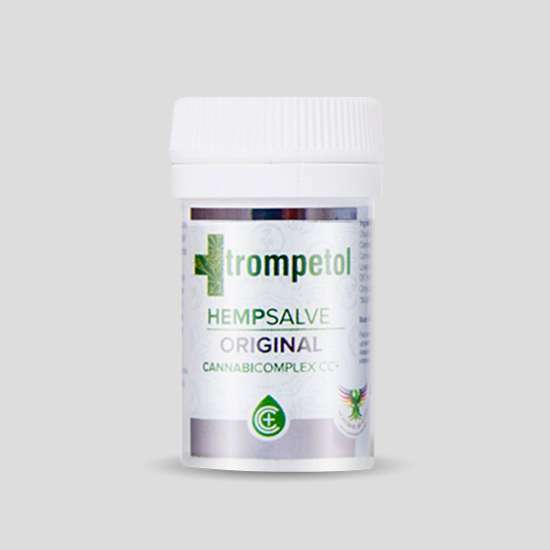 Trompetol HempSalve Original, is an innovative natural ointment based on hemp and other natural active ingredients, extremely effective and developed in a unique process, composed of plant and biological materials. Ideal for treating skin problems in general. It offers very effective results. 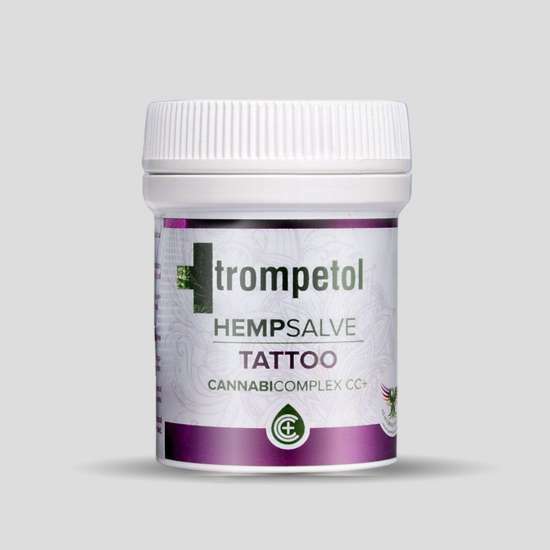 Trompetol Tatto Hemp Salve, the first highly effective hemp ointment, especially recommended for the treatment of freshly tattooed skin. Cure, protect and moisturize your newly tattooed skin all in the same product and completely natural. If you tests, you will repeat without any doubt and that it is one of the best options for ointments of chemical origin. Amazing results. 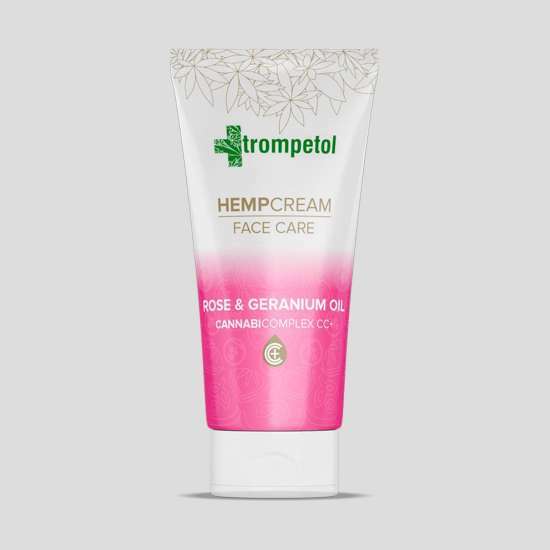 Trompetol Hemp cream face care Rose and Geranium oil, is a delicate natural hemp cream with rose hip oils and geranium, made from organic raw materials and specially formulated for the daily care and protection of facial skin, in addition to be compatible with all skin types. Tonifies, moisturizes and rejuvenates the skin in an exceptional way, offers amazing results on all skin types. Cannabios Intimate Gel Femenine Wash is a product of natural hemp, made from ingredients derived from plant materials, indicated for the daily hygiene of the whole body, especially for intimate areas. Cleans, nourishes and moisturizes at the same time, all in one product. This product contains rosemary essence and tea tree. Its ingredients depurinate, fight fungi, disinfect, heal and regenerate sensitive skin. Cannabios Gel & Bath Shampoo 2 in 1 is a natural product, made from ingredients derived from plant extracts, suitable for the daily hygiene of the entire body, even the hair. It's washing, nourishing and moisturizing at the same time, all in one product. 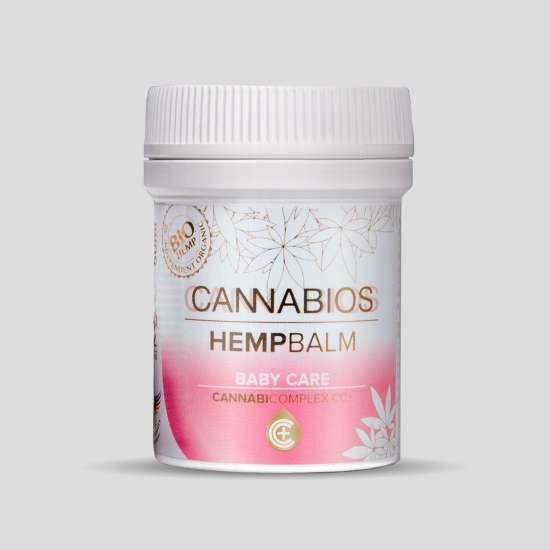 Cannabios Baby Care Balm, is a natural balm made from 100% organic raw materials and specially designed for the care and protection of the skin of babies and children. 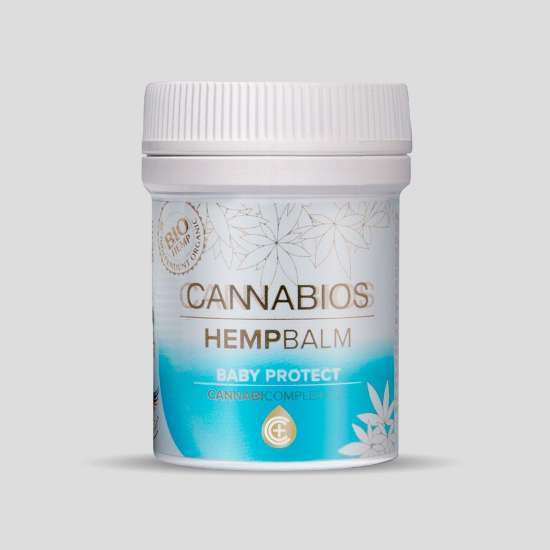 Cannabios Baume baby Zinc, is a natural balm specially designed for the prevention, care and regeneration of the skin of babies and children. 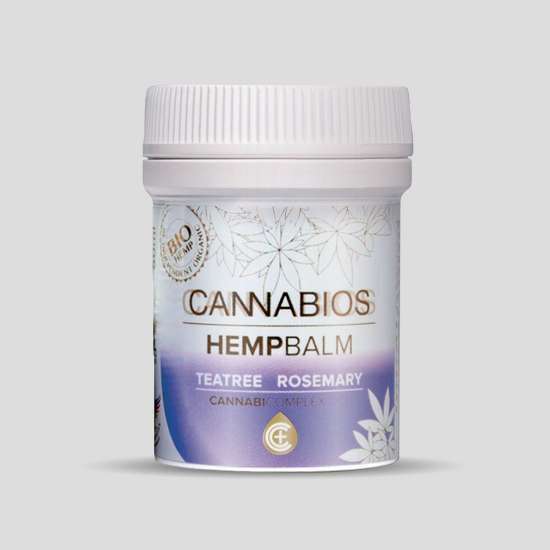 Cannabios Tea Tree & Rosemary balm, is a natural balm made from plant materials and recommended especially for its fungicidal, antiseptic, analgesic and anti-inflammatory effects. 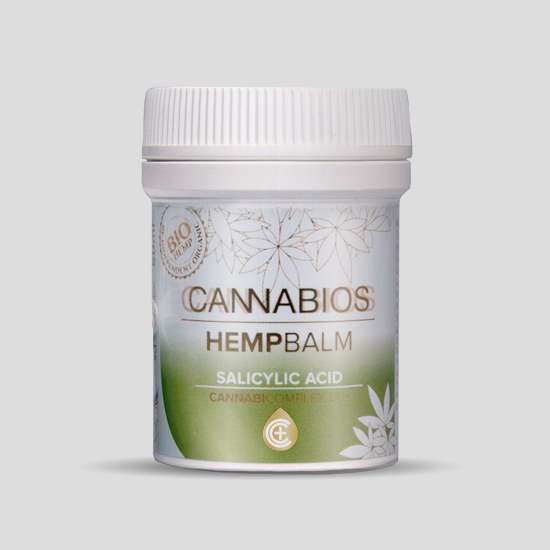 Cannabios Salicylic Acid Balm, is a 100% Bio natural hemp balm, made from organic vegetable materials and suitable for the treatment of different skin pathologies. Hardness, feet and hands, acne, warts, psoriasis, natural pilling, dandruff. This product also contains natural rosemary essence. In the description you have more information about the natural power of its ingredients. 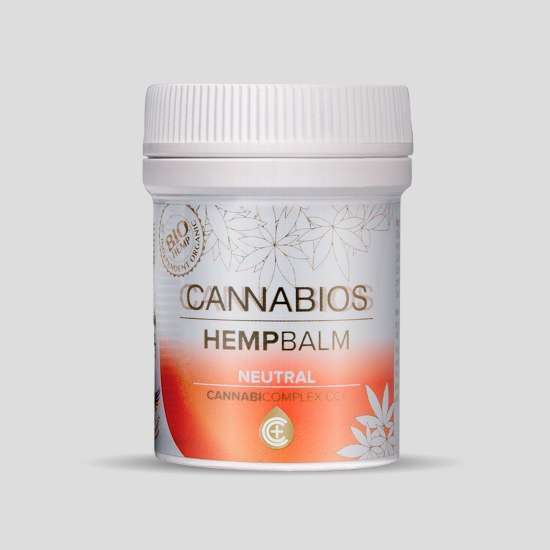 Cannabios HempBalm Neutral is a natural balm developed on a base composed of 100% organic raw materials and specially composed for the care and protection of sensitive and reactive skin. The natural online store Naturflow offers a wide range of products based on hemp and natural cosmetics, organic brands such as Trompetol and Cannabios, where you will find ointments, balms, body oils and creams . Developed in accordance with a rigorous, environmentally friendly, high-quality materials and organic ingredients, providing you with high efficiency results, the main reason for their success. Your health and that of yours is priceless ..